We have wholesale pricing starting with a minimum purchase of 12 units. Please contact us at info@TellBell.com for more information. 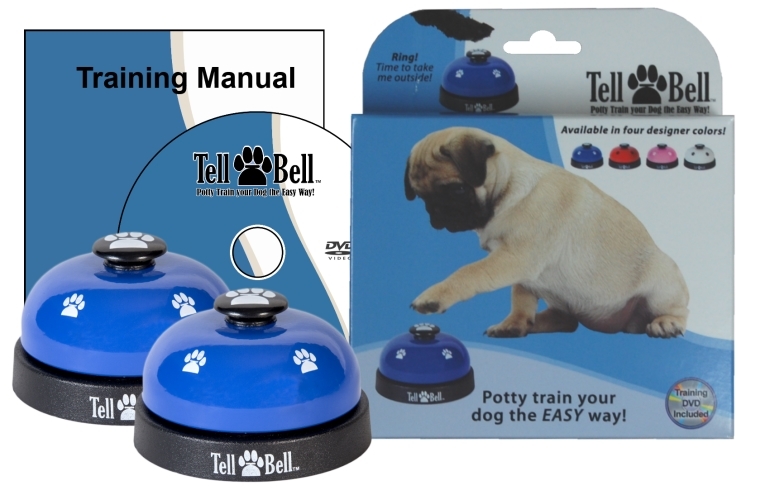 Tell Bell is a specialized communication device for dogs to "tell" their owners when they need to go outside to use the restroom (potty). 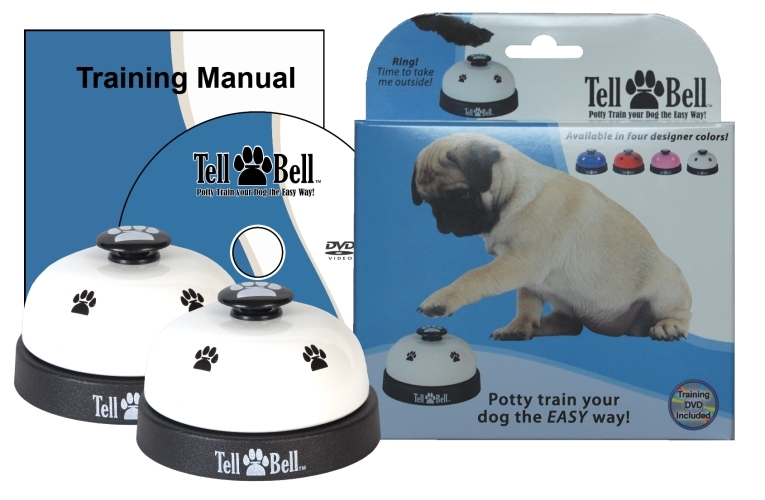 Tell Bell is a specialized communication device for dogs to "tell" their owners when they need to go outside to use the restroom (potty). 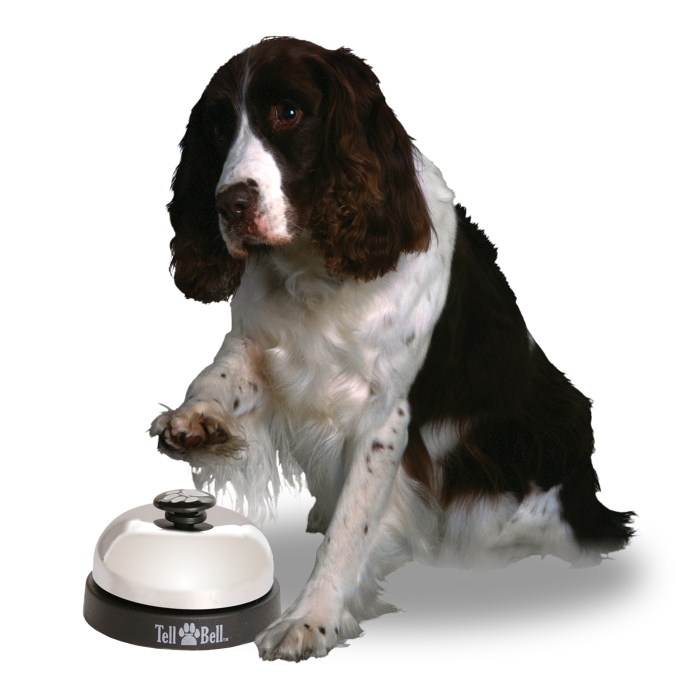 This device is unique because it sits by the door, out of the way, and is only rung when the dog needs to go outside. The result is a higher success rate, than hanging some bells on a string. 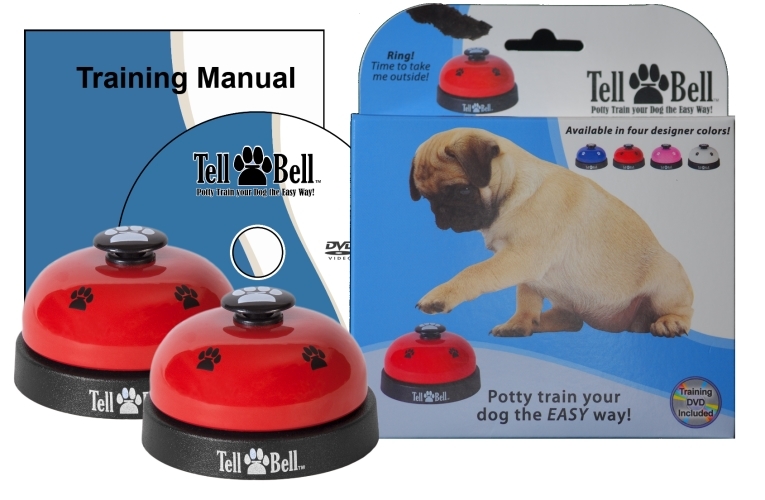 In a Tell Bell box there are two tell bells (an extra one for traveling or a large home), step by step instructional DVD and manual. 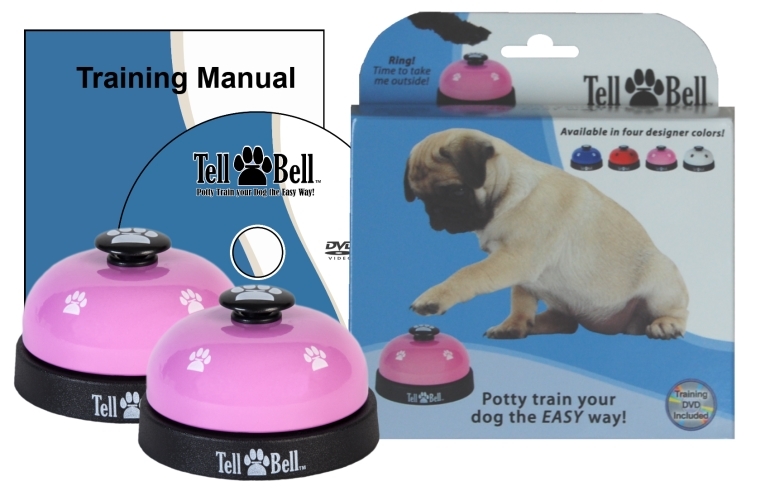 Potty training is made easy with Tell Bell. Dimensions: Height = 7", Width = 6", Depth = 1-5/8"
Retail Display Sign color PDF file 8.5" X 11"
Media Logo Sign color PDF file 8.5" X 11"
Small Media Logo Sign color PDF file Trims to 4.25" X 5.5"
NOTE: When printing the above signs, you will likely have better success if you select "Fit to Printable Area" and "Auto-Rotate and Center" on the Print dialog box in Adobe Acrobat Reader (shown below). 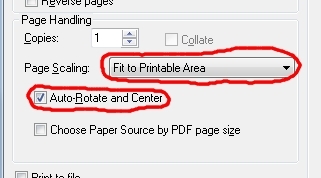 You will see that dialog box after selecting FILE/PRINT in Adobe Acrobat Reader. 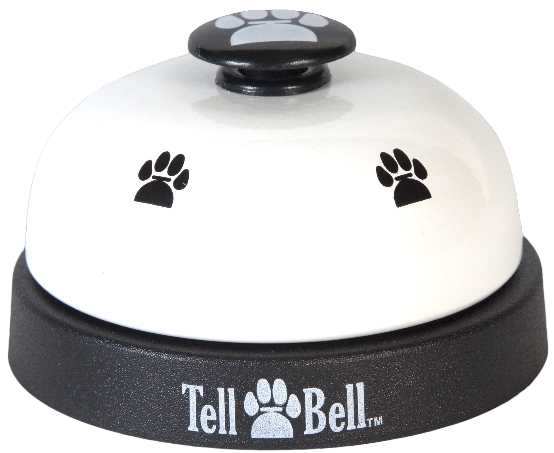 Put a link to TellBell.com on your website! Below you will find code that you can simply copy and paste into your website or blog. Embed our videos onto your website directly from You Tube. 1. The 1min 37sec video commercial of Tell Bell. You can preview that video HERE. 2. 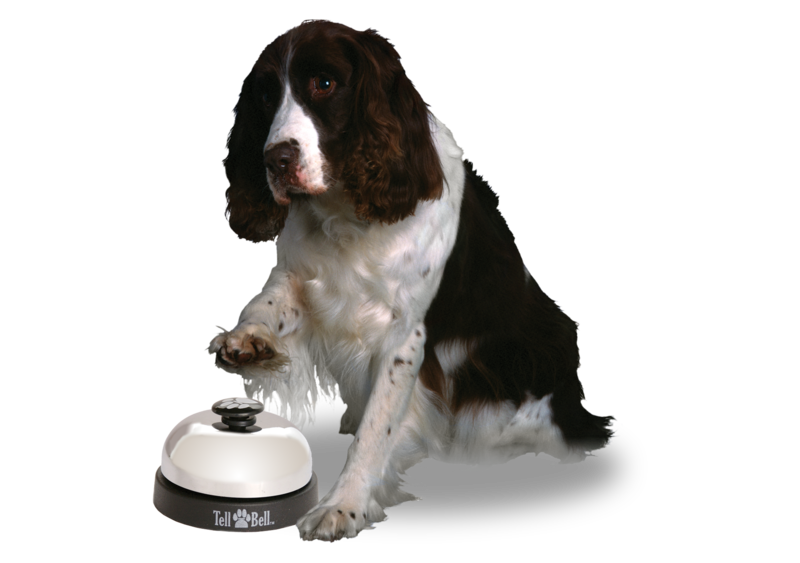 The 27sec video of a dog (Wishes) ringing the Tell Bell. You can preview that video HERE. 3. A combination of the two above videos. You can preview that video HERE.